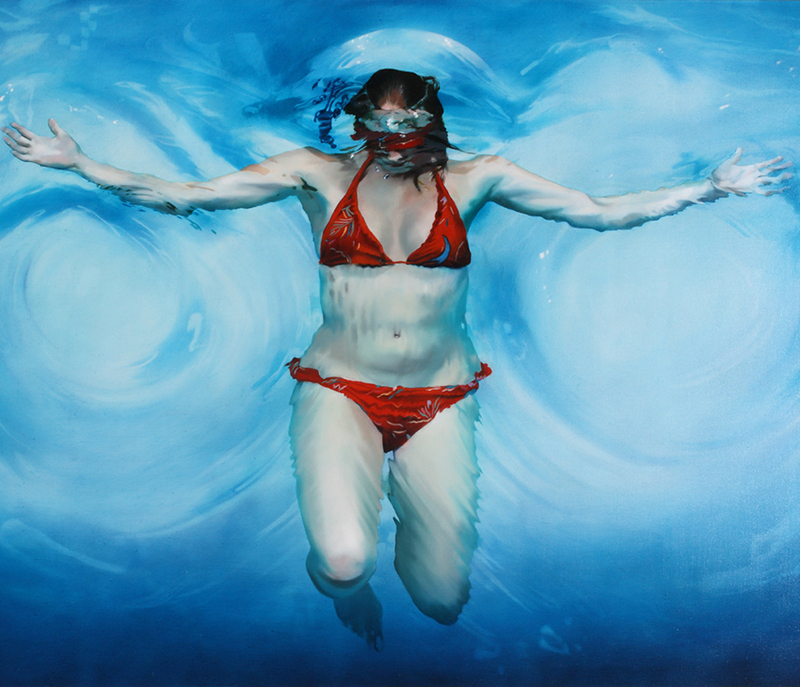 Here at Art-Sheep we seem to love paintings that depict underwater swimming. 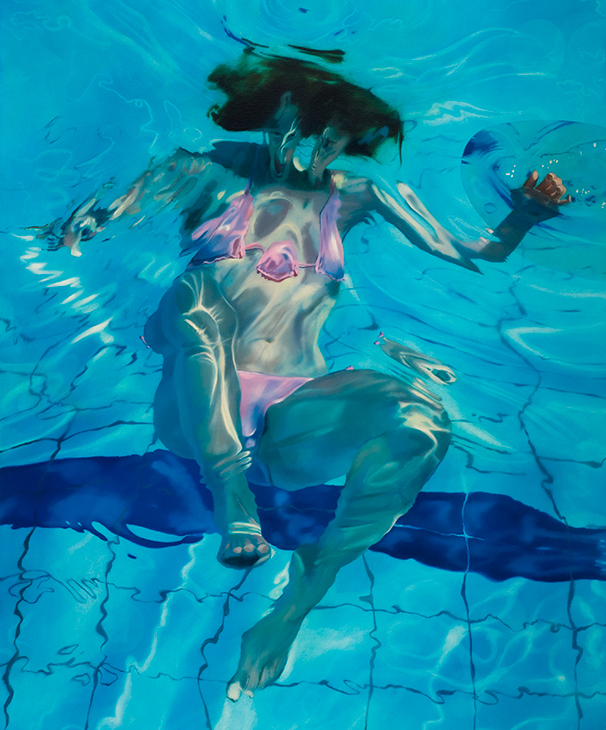 Apart from the fact that it’s summer, the impeccable work of the artists we feature in combination with the interesting theme of the water, put these series of works amongst our favorites. 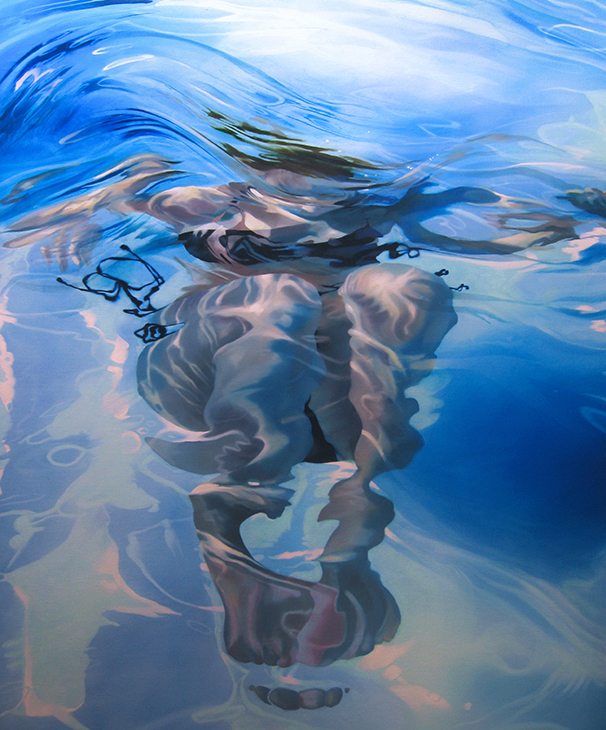 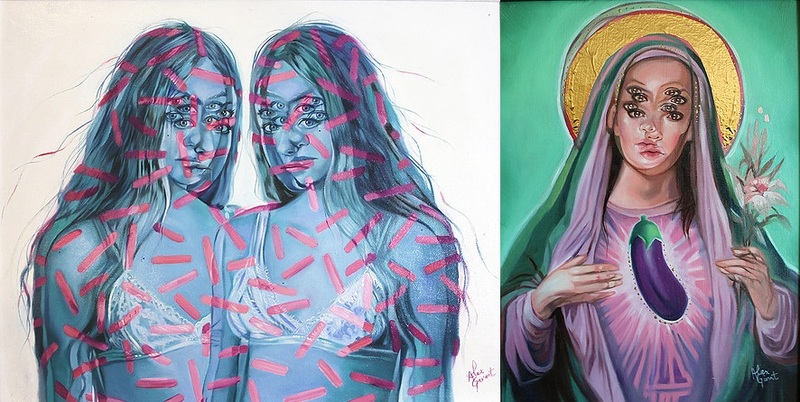 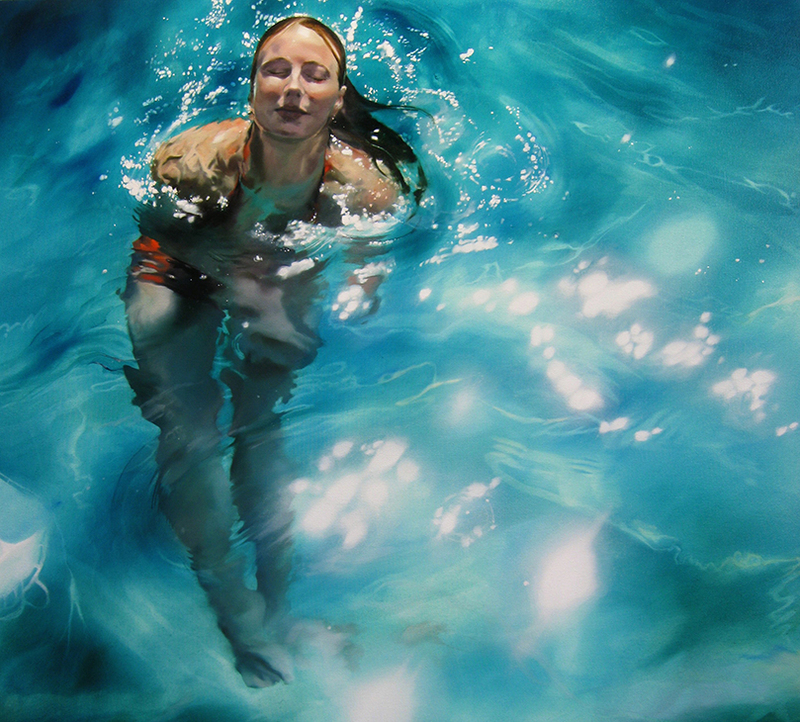 London-born artist Sarah Harvey belongs in this category. 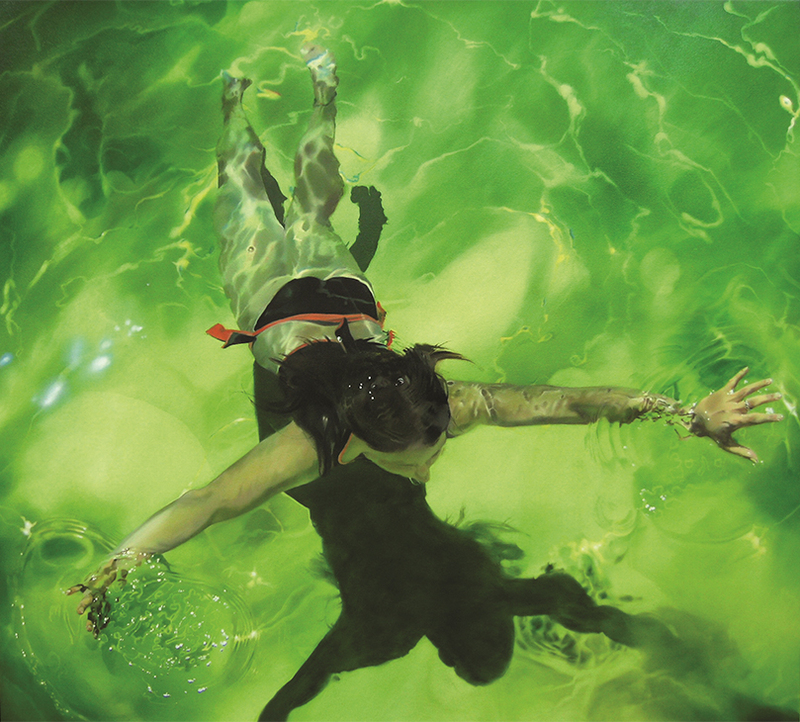 During a trip to Florence and the surrounding areas of Tuscany, Harvey got her artistic inspiration from a green swimming pool; an image that later gave birth to many paintings of women swimming in a pool. 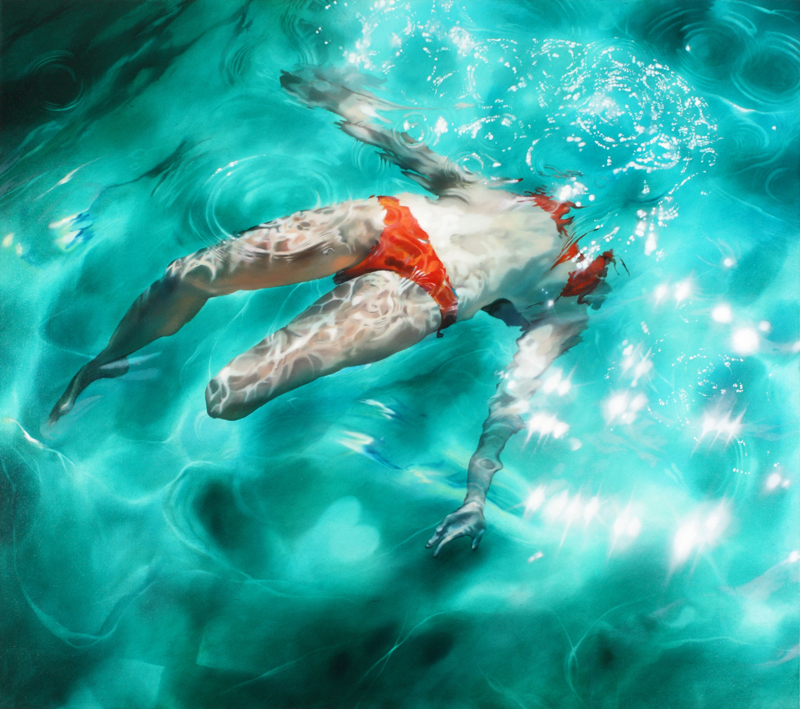 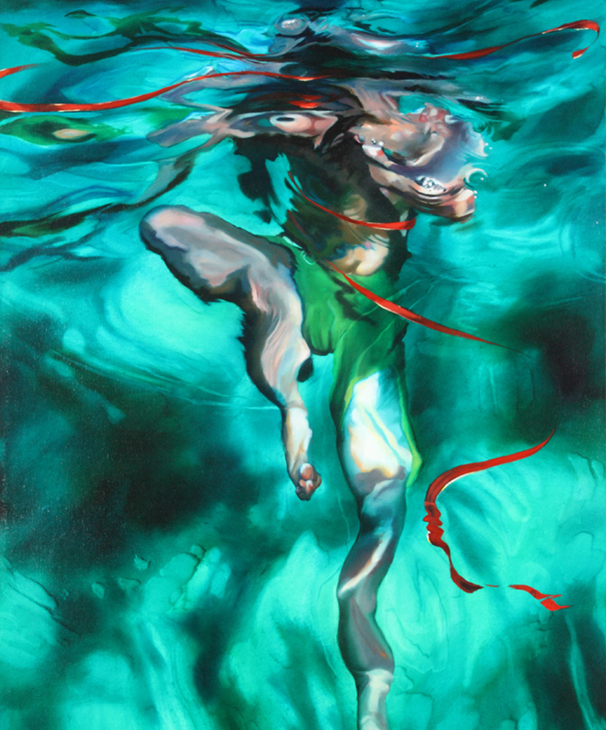 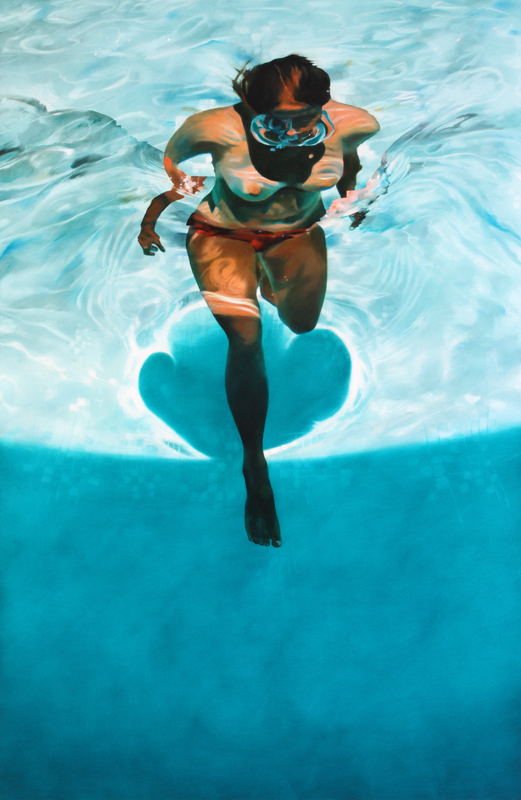 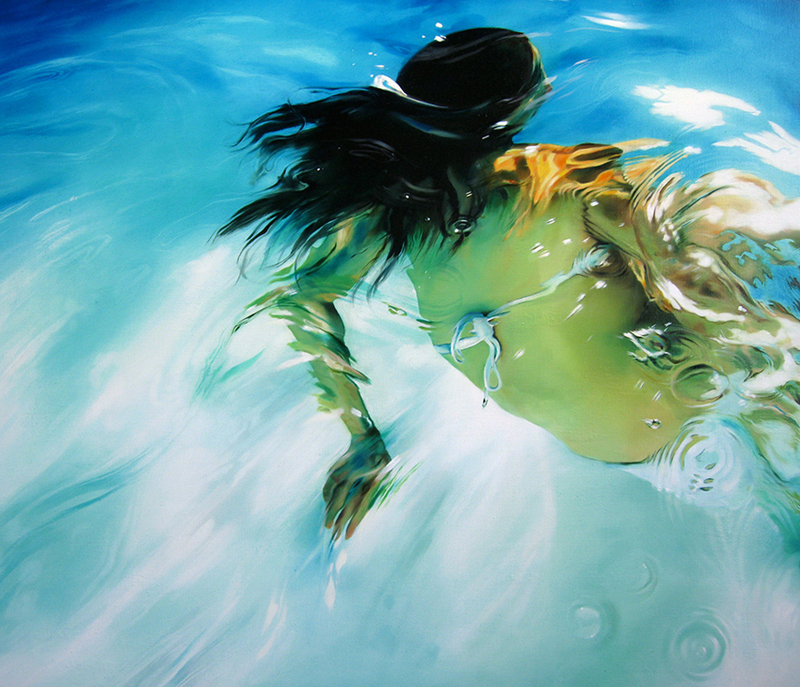 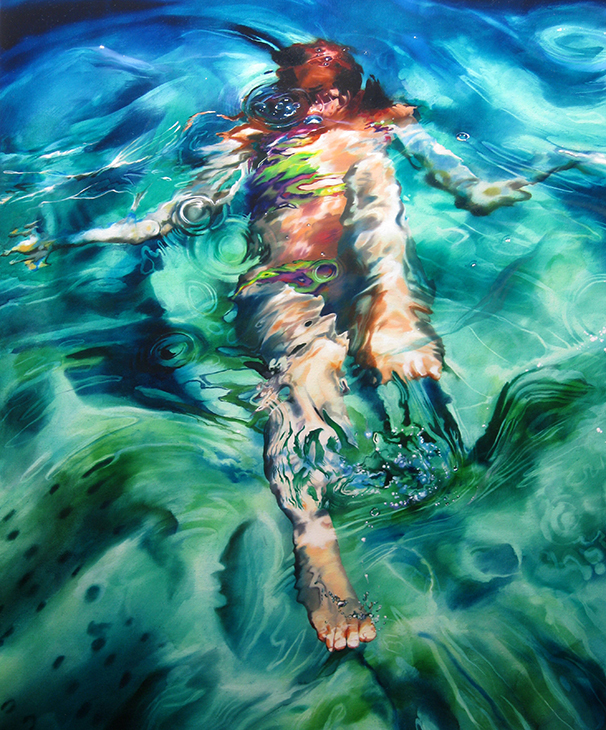 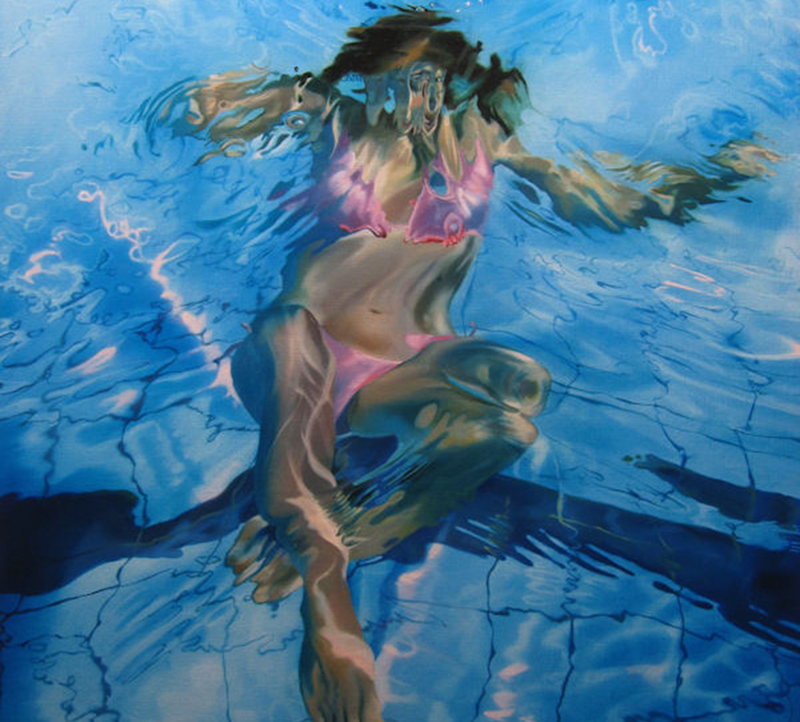 The painter works on the female body and its distortion under the water in a remarkably skillful way, paying attention to even the slightest detail on the bodies, the bathing suits and the turbulence of the water. 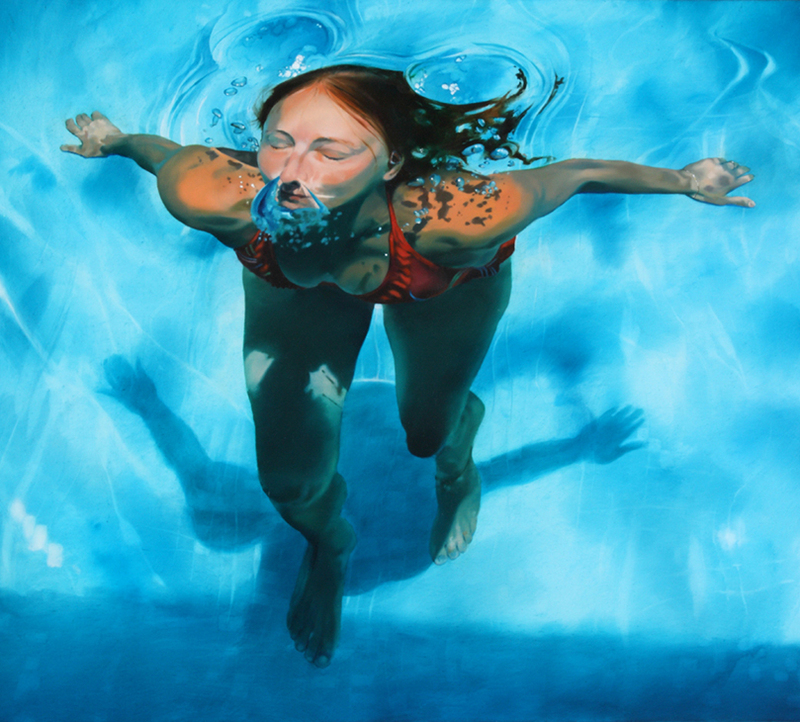 In Harvey’s work life underwater seems more pleasant and serene than life on earth, with the moment of their apnea being the most alive moment in her subjects’ lives. 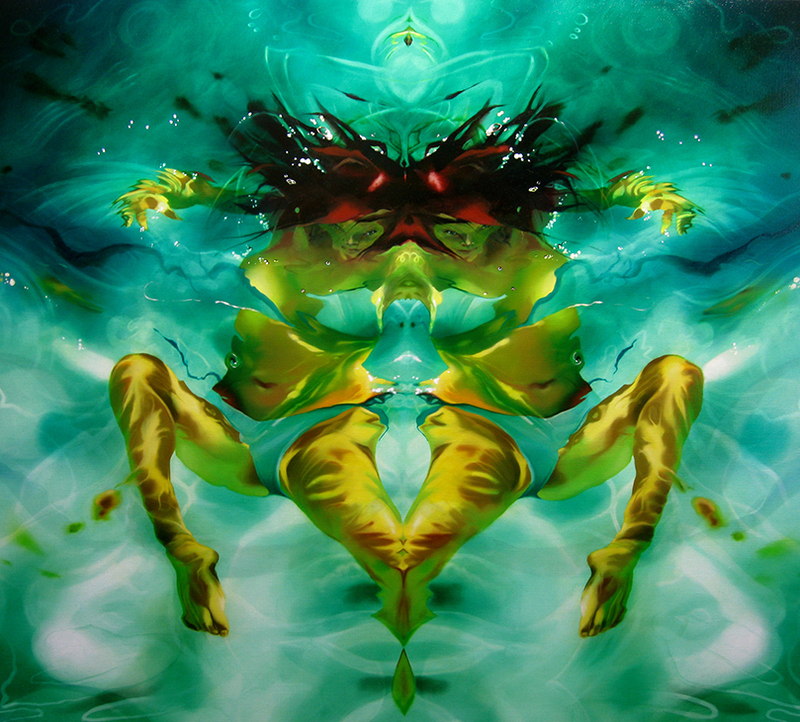 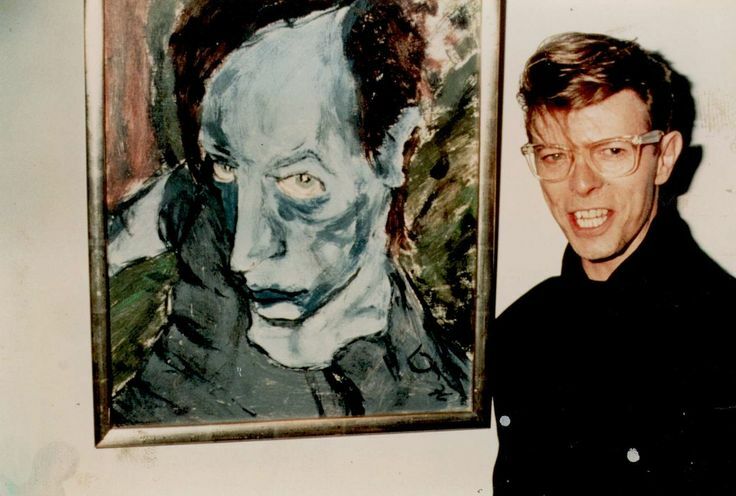 “My paintings of figures floating are predominantly self portraits. 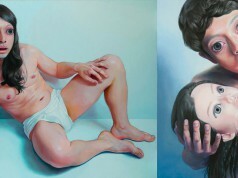 I aim to create paintings that arouse both a sense of well being and pleasure, whilst simultaneously suggesting notions of insecurity, fantasy and sexuality. 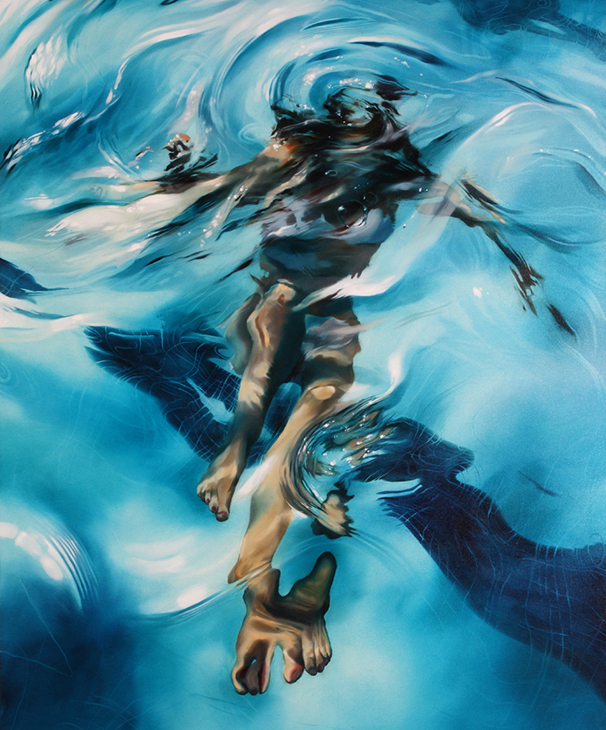 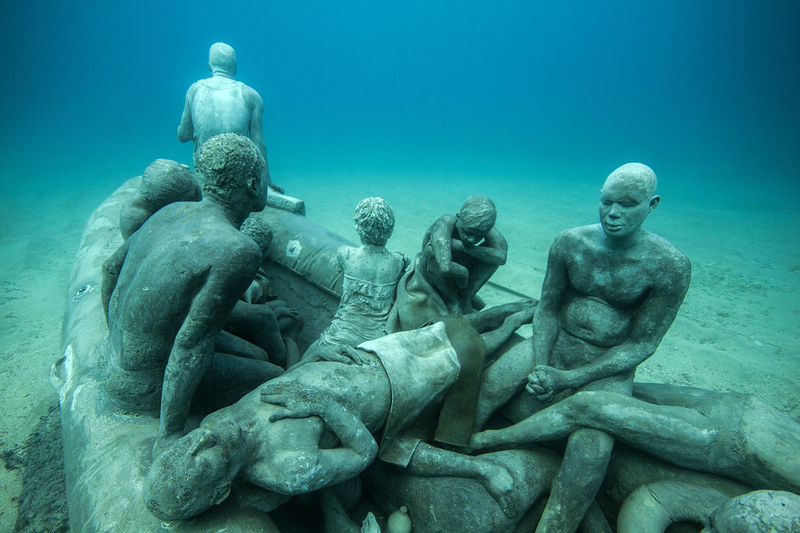 Entirely suspended by the water, the human forms are fragmented by the ripples and swirls created by the water, abstracting them, and often with implausible results such as the appearance of disfiguration or distortion. 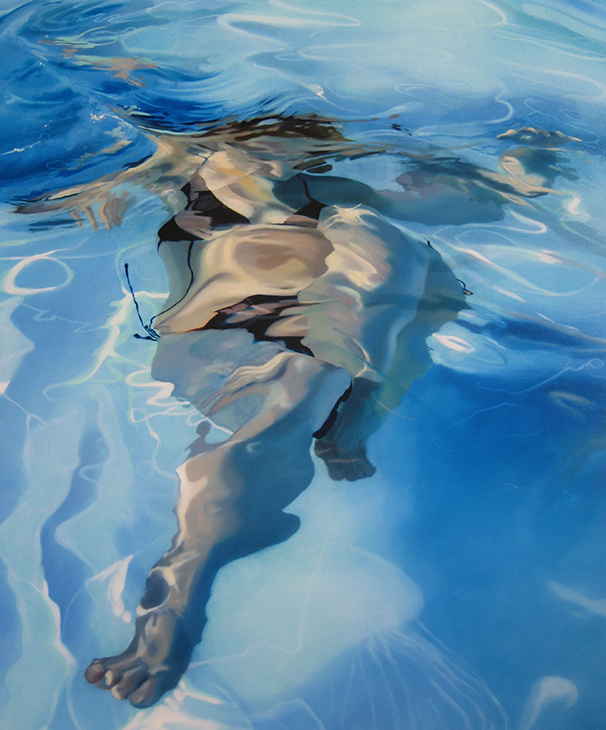 I have become increasingly excited about the abstract elements in these works, and the interplay between light, colour and water. 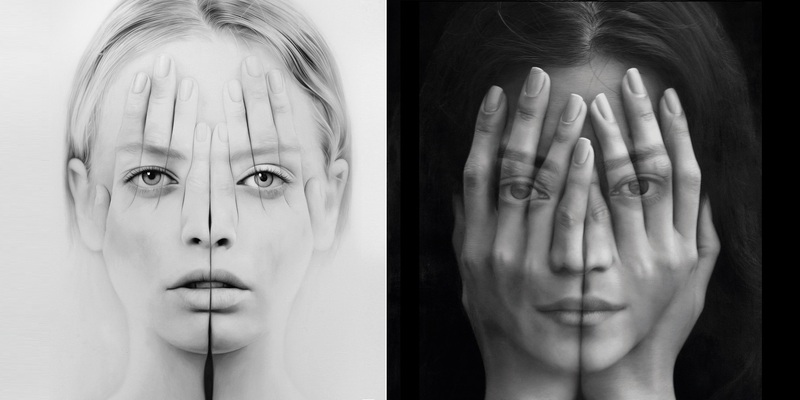 The emerging patterns are becoming more apparent and dominant, drawing the eye not only towards the main focal point of the human form, but also to the surrounding areas, which are of equal significance,” writes the artist.